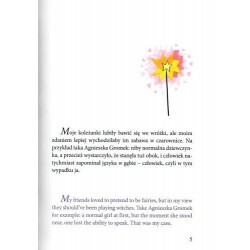 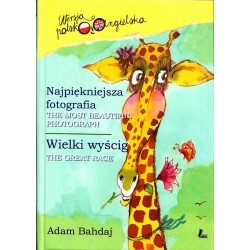 This time in the Polish-English version you will read two stories of the contemporary, beloved by the children writer - Grzegorz Kasdepke! 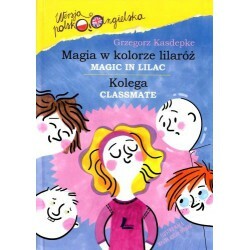 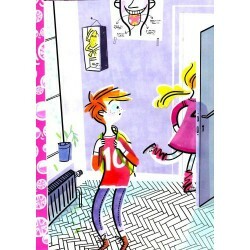 Magic in the colour of lilaróż is two funny stories from the life of a boy with a very flamboyant imagination. 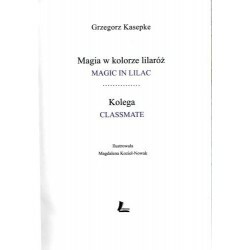 Well, who would suspect a lovely friend from casting spells or came up with the idea of ​​replacing a favourite friend who was transferred to another class with a balloon?